In a recent blog post I talked about The Importance of Licensing Your Pet. 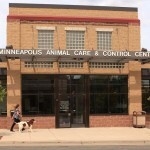 I had spent time with Minneapolis Animal Care and Control, MACC, and was astounded at the good deeds they provide for people and animals in the Minneapolis community. As promised, this second part of the post is talking about the programs and services MACC offers. Animal Adoption: MACC is a full service shelter and has many animals for adoption either at the MACC shelter or through rescue groups. They also provide nourishment and medical care for the animals for which they care. Pet of the Week: Each week an animal ready to be adopted is featured as the Pet of the Week. What better way to help pets get adopted than to showcase them on a special web page? Animal control laws: In their unflagging efforts to keep people and animals safe, MACC investigates bites and quarantines animals for rabies observation. They also enforce animal control laws by respond to and investigating animal complaints and reports of animal abuse. Finding Lost Pets: If you live in Minneapolis and have lost your pet, contact MACC for help. They do all they can to return a lost pet to their home. Licensing and off-leash dog park permits: You can and must license your pet. Licenses for dogs, cats, rabbits and ferrets are available at MACC or online. Be advised that if you click on the above link you will be downloading a file to your computer.